Seneca Falls is known as the birthplace of women’s rights. It was also once recognized as the “Fire Engine Capital” of the world. 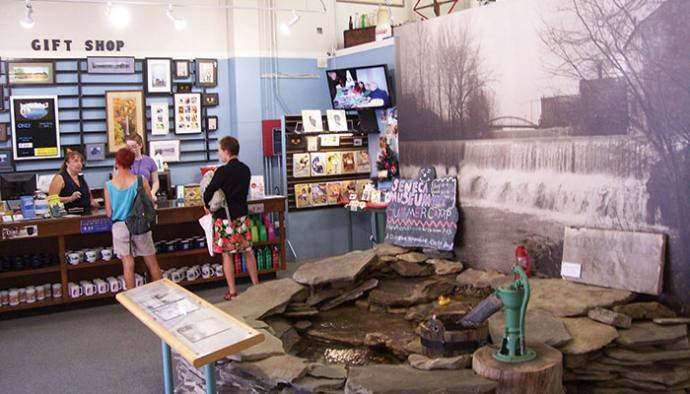 In downtown Seneca Falls, the Seneca Museum of Waterways and Industry fills three stories of a former retail store with exceptional displays that explore both of these identities and much more about Seneca County’s proud past. Situated just inside the building at 89 Fall Street is the Seneca Falls Visitor Center which serves as an orientation point for local and regional history. Together, the Visitor Center, established in 1990, and the museum, founded in 1998, have occupied the 9,000 square-foot building since the town of Seneca Falls purchased it in 2010. Right behind the building is the Cayuga-Seneca Canal used by countless recreational boaters. Space on the building’s lower level offers boaters amenities such as bathrooms, showers and laundry facilities. During July, as many as 200 people arrive daily at the Visitor Center to seek directions, peruse brochures, and browse the gift shop. Tourists often linger to learn about Seneca Falls’ development through numerous displays which captivate and educate audiences of all ages. The canal, its construction and the industry it spawned, is a prime focus. A visitor favorite, “Cady,” is a near life-size sculpture of Elizabeth Cady Stanton (1815-1902), representative of the town’s deep connection to the suffragist movement. 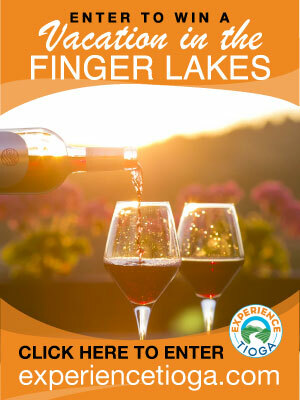 “We are one of five historical museums,” explains Podzuweit, once a visitor himself from “Down Under.” The Adelaide, Australia native traded sand and surf for the scenic beauty of the Finger Lakes. For nearly 10 years, with a small friendly staff, he has been greeting tourists and sharing his considerable knowledge of local history. The Seneca Museum of Waterways and Industry fills a unique niche in the community. Within a relatively short distance from the museum on Fall Street are both the Women’s Rights National Historical Park and the National Women’s Hall of Fame, two separate entities. The first Women’s Rights Convention in 1848 and women’s struggle for equal rights is the main focus at the Park which is part of the federal government’s National Park Service. The Hall recognizes the contributions of American women and inducts new women every two years. The Seneca Falls Historical Society and Museum, which occupies a stately 23-room 1855 Queen Anne style mansion on Cayuga Street, has loaned artifacts to the Seneca Museum of Waterways and Industry, like a bright red fire fighting pumper and early pumps. For those who believe Seneca Falls was the inspiration for Bedford Falls, the fictional location in the classic holiday movie, “It’s a Wonderful Life,” there is a museum for that, too. The first movie theater located on Lower Fall Street displays memorabilia of director Frank Capra’s beloved movie. The question most frequently asked at the Visitors Center is “Where are the falls?” Seneca Falls is located alongside the Seneca River which flows between Seneca and Cayuga Lakes, the two largest Finger Lakes. The Cayuga-Seneca Canal connected them when it opened in 1817 and was joined to the Erie Canal in 1828. The river once dropped 40 to 50 feet in a mile-long stretch of rapids and small waterfalls. The rapids were dammed creating higher waterfalls to power mills. Seneca Falls became a bustling mill town with factories and foundries located on islands formed by the Seneca River and the canal. Workers’ homes were also built in this area, known as the Flats. It was due to frequent foundry fires which led to the invention of pumps on wheels that prompted Seneca Falls to become the fire engine capital of the world. “It provides visitors with a great segue into the town’s history,” says Podzuweit about a mural-size black and white photograph of the long-gone falls. Descriptive panels explain how the falls were leveled in the 20th century when the Erie Canal was enlarged and renamed the Barge Canal. In 1915 water filled the basin that is now Van Cleef Lake to provide an adequate water supply for the locks of the reconstructed Cayuga-Seneca Canal. The flooding eliminated the man-made falls and the Flats were destroyed. Museum visitors can view rare film showing the removal of many homes before the flooding. Some businesses moved closer to the railroad, others left town or closed. One company, Goulds Pumps, now ITT/Goulds, relocated and remains in Seneca Falls today. The dioramas, or models with small three-dimensional buildings and landscape features, illustrate the development of Seneca Falls from 1817 through 1917. “An Explosion of Industry: 1825 – 1890” reads the panel behind the diorama that shows the community’s growth due to the Industrial Revolution. The museum’s “Industry Floor” spotlights many leading manufacturers. Seneca Falls mills produced everything from school supplies to socks and flour. For 100 years, starting in the 1840s, Seneca Falls foundries produced such objects as pumps, steam fire engines and bells, to mention a few, all made by iron. Seneca Falls became a household name. In more recent times manufacturing reflected the modern era with the arrival of Sylvania Electric to manufacture televisions. Utilizing the exhibits on all three floors, the museum’s staff offers programs designed to meet New York State Learning Standards for pre-school to 12th grade students. A hands-on area on the bottom floor allows young people to learn principles of physics by using machines. “Music in the Park,” a summer series of free musical performances in the Water Street People’s Park. 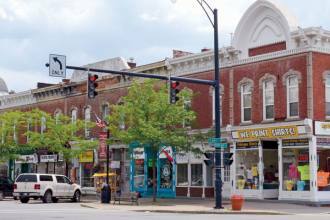 There are monthly programs ranging from live music to lectures on the Underground Railroad and the Erie Canal. Most are presented at the Women’s Rights National Historical Park in the Wesleyan Chapel and the Gunztel Theater. The annual Bedford Falls Gingerbread House Contest for children and adults will be held during the It’s A Wonderful Life Weekend, December 7 to 9, 2018. Gingerbread House Workshops will be held at the museum, Saturday November 22 and December 1, 10 a.m. to 12 p.m. All materials are provided free to youngsters 13 and under. Workshop reservations are requested. Please call 315-568-1510. Basic house patterns and recipes are available at senecamuseum.com. Everyone is encouraged to vote for their favorite. Seneca Meadows Inc. of Waterloo continues to support this program. School, bus and group tours welcome.